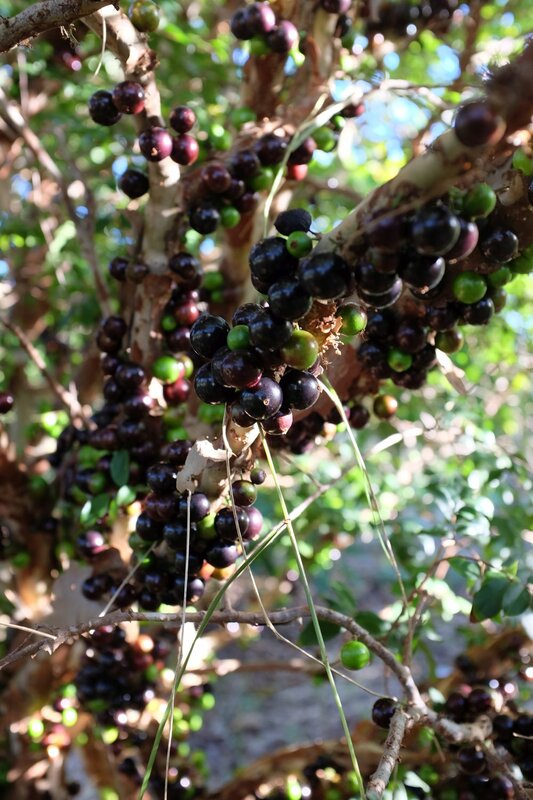 Jaboticaba, or "Tree Grape" is native to Brazil, and is related to crape myrtle. Fruit attach directly to interior branches, and not to branch tips like many other fruits. The flavor and texture are similar to a muscadine grape. Jaboticaba is commonly eaten fresh, usually without consuming the skin. It's also made into juice, jelly, marmalade, and wine.